All M2M amplifiers and repeaters listed below are compatible with your Ice Wireless service. Ice Wireless M2M Signal Boosters for use in ATMs, lotto & vending machines, remote monitoring systems, etc. Ice Wireless is a premier carrier and mobile network operator that delivers 3G, 4G and HSPA+/UMTS technologies to urban and remote locations in Canada. The company was founded in 2005 in Inuvik, Northwest Territories. Ice Wireless has a license to operate with an 850/1900 spectrum. Ice Wireless is also a company that has partnered with Canada’s leading VoIP service provider, Iristel. With this, the company has been able to create a dynamic and unique system wherein VoIP phones and mobile phones are integrated into a controlled network. This is what the company visualized when they started the business. One of the reasons why Ice Wireless is one of the best options is because it effectively delivers the state-of-the-art 3G technology as well as GSM/EDGE to home and business owners in populated and mostly remote locations in Canada. The company also operates a wireless based station that makes this as an accessible option to gain the best telecommunications solutions. This is a unique thing that made this company definitely one of the best carriers if you’re looking for a cell phone that can truly deliver the best services in northern Canada. As a matter of fact, Ice Wireless is now in the process of creating the 3G network within Yukon, Northwest Territories as well as Nunavut using the Huawei core UMTS equipment. Huawei is the leading company when it comes to telecommunications in Canada, which makes this as a great addition that enables Ice Wireless to meet the changing needs and requirements of the users in Canada. The Universal Mobile Telecommunications System (UMTS) is also being utilized by Ice Wireless, which is also considered as one of the most powerful means to acquire the best solution. Ice Wireless also operates and owns communication towers, microwave transmitters, fiber optics and other technologies in Canada. This is because the company believes in one thing and that is if you can provide the best needs of the customers, then it can be a great choice to assure that you can get the best leads and support. Ice Wireless solutions are very useful for many industries all over Canada that helps the community acquire the best solutions that can help them make things much easier and convenient. Why Use Ice Wireless Signal Booster for M2M? Machine to machine compatibility is now becoming one of the most important requirements of most devices these days. Since we’re now living in a digital age, one great solution to make sure that you can gain the best telecommunications and technology solution is by acquiring a signal booster. A signal booster helps to strengthen and amplify the compatibility of varied machines to other machines. Finding the best Ice Wireless signal booster for M2M is definitely all you need if you are looking for the perfect way to guarantee that you can get the best solutions. Signal 3G M2M 470309 comes with a Hardwire Kit. This is one of the most known cellular booster kits for Ice Wireless M2M solutions. This signal booster is very important for 3G technology solutions such as security equipment, fleet management, cash machines and vending machines. Despite this one being compact, it is powerful enough to assure constant and strong signal to a machine. When it comes to installation, you don’t have to worry because very easy and simple to follow instructions manual is included. After installing the M2M Ice Wireless signal booster, it guarantees that you can achieve the best stable cellular connection when compared to other brands of M2M signal boosters. Signal 3G M2M 470109. This is another exemplary Ice Wireless cell booster kit for 3G devices. 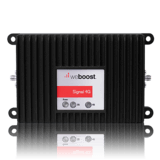 This is a perfect signal booster that provides a direct connection for a cellular boost that is designed particularly for M2M scenarios such as commercial equipment, fleet management, cash dispensers or even vending machines. Great for small spaces, it is the perfect device that can be discreetly placed in areas wherein people can’t have an access. Signal 3G M2M 470209. It contains instrument manual, power supply unit, cables, small magnet mount antenna, and amplifier. You don’t have to contact an expert or a professional to do the installation for the reason that it is just very easy and fast to do. All you have to do is to follow the step-by-step instructions provided to you. After installing it, rest-assured that the machine-to-machine booster will surely make both the outbound and inbound transmissions between machines easy and fast. If you have a business signal booster, it would then be very effective in enhancing your services. Thus, it makes you a reliable and dependable provider of such services. This is the perfect device that will make the lives of people, your customers, a lot easier. M2M Signal 4G 470219 (Hardwire). This is also another magnificent option if you’re looking for a top booster that can provide the best performance. The best thing about the signal 4G is that it will effectively connect to the LTE modem to make sure that a reliable 4G signal is boosted when it comes to a machine-to-machine scenario. This wonderful kit is again perfect for lotto machines, vending machines, and ATM machines. With this signal booster, it will definitely help individuals and business owners to make sure that they can get the best solutions they needed without losing time and effort due to poor connection or signal, especially if you’re in a remote area wherein signal sometimes is hard to attain. This model, in particular, has a hardwired power supply. Security 4G M2M Booster. This is another top notch choice if you are looking for the perfect Ice Wireless Signal Booster for M2M installation in an IT cabinet. This is an incredible kit that includes instruction manual, power supply unit, cables and mini-mag antenna. With this option, it guarantees that you can get the best M2M signal from Ice Wireless to operate your security equipment. This signal booster also guarantees that there would be fewer packets being dropped. As a result, the communication is guaranteed to have the best performance when compared to others. Choose the most suitable M2M equipment cellular boosting solution from the table provided at the top. Then keep your machine to machine Ice Wireless connected device data flowing smoothly and constantly, without disruption in cellular service.